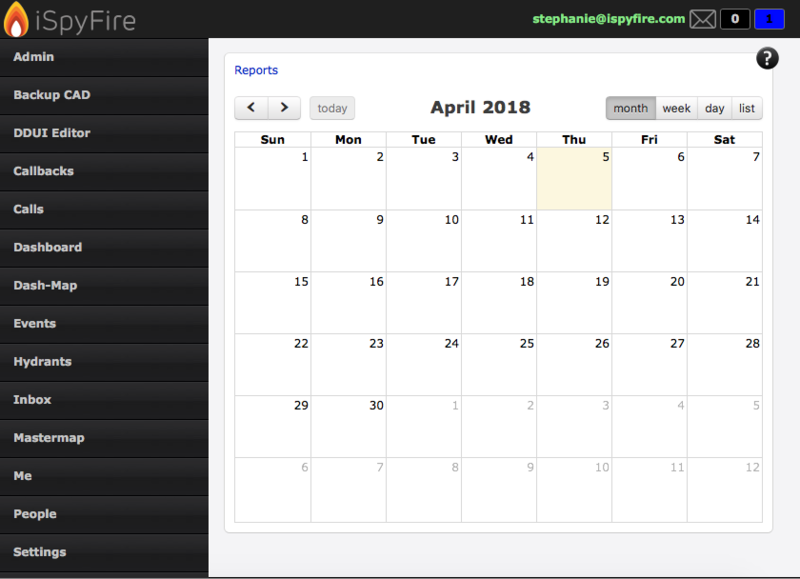 The Events tab is a shared calendar feature for all users to see in your agency. 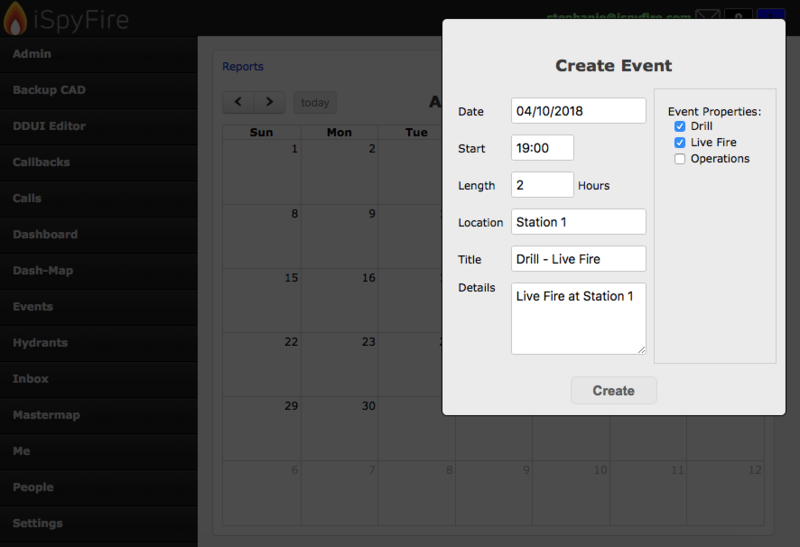 Its made to add event such as Drills, Live fire, Operations and more. 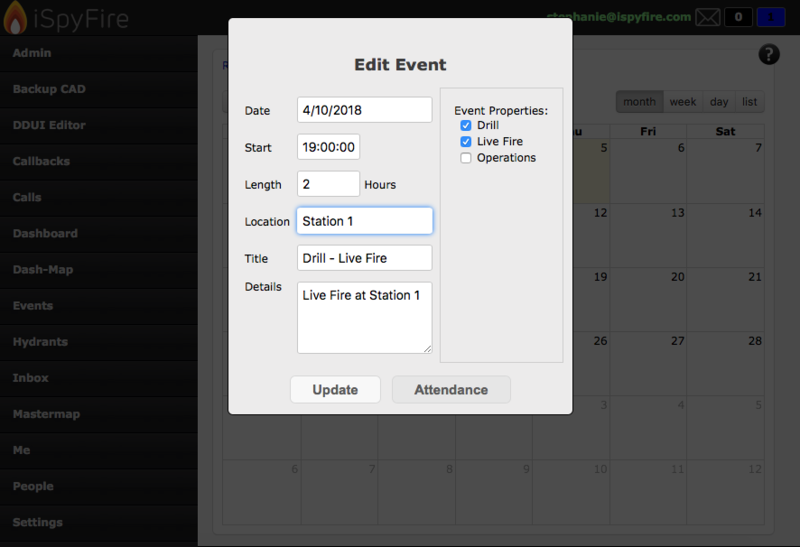 Allowing for the whole agency to view all events and times in a calendar setting. The only people that can add or remove an event are Superusers and Admin Users. Click on any day to add an event. 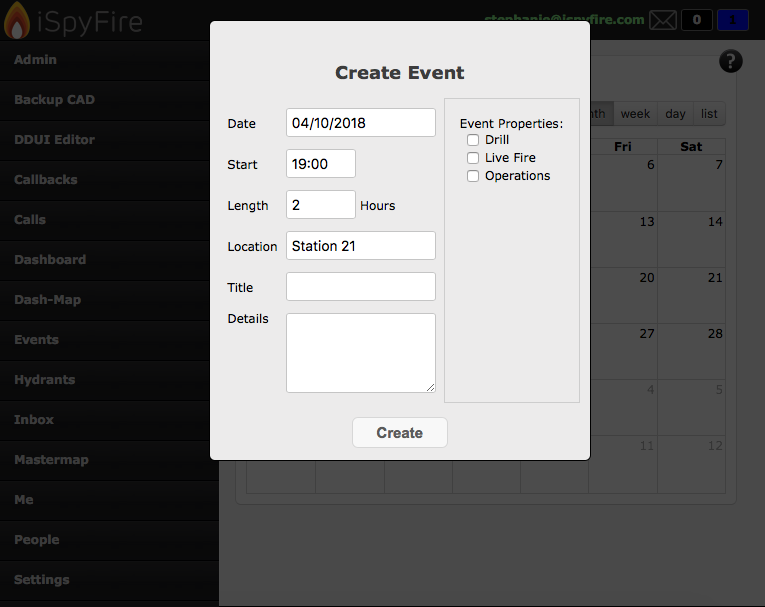 Fill in the Time, Length, Location, Details, and Event Properties. Now the Event will appear in the Date selected. 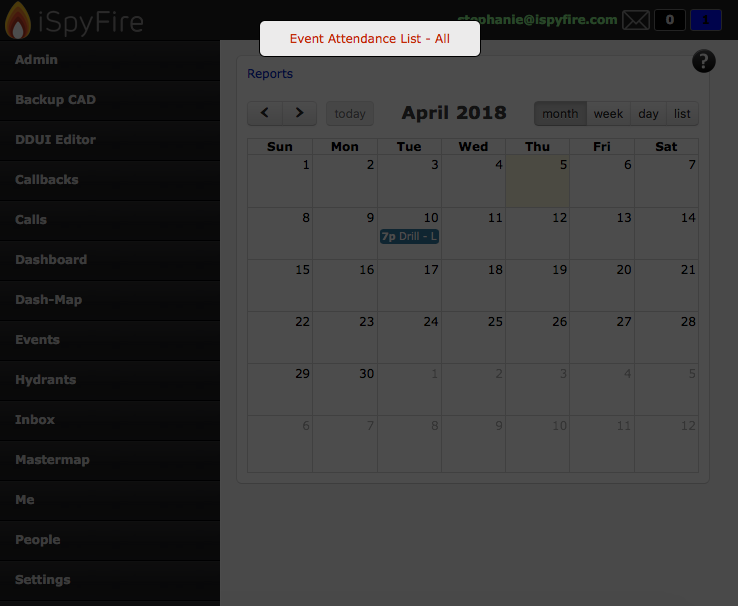 If you select the event you will be able to make a change or when the date comes you can add peoples attendance from here by selecting "Attendance"
In the top left you will see a "Reports" button, This is will show you the attendance of the people in your agency on what days for the month shown below. And this was a quick review of the Events tab in iSpyFire!